n my popular, ‘Samela Sessions’ I have discovered that many people move to town to retire, even though they don’t really know anyone or have any friends or contacts here. Many have left friends and family and are in search of a welcoming community here in Las Vegas. The problem is that it can be difficult to make friends here. In the summer, it’s especially difficult because of the heat. Many folks don’t go out during the day much past lunchtime. Evening activities can be hard to find if you aren’t connected to a group or mailing list of some sort. 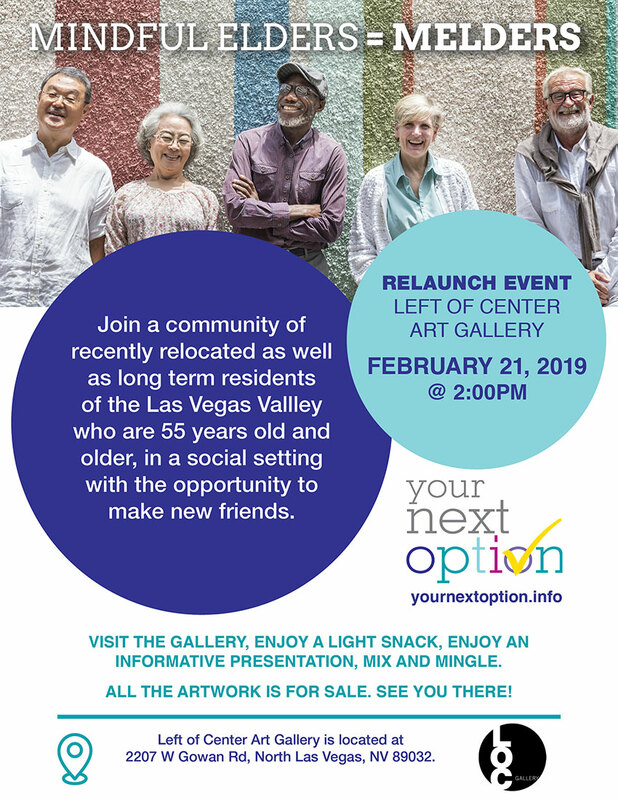 MINDFUL ELDERS = a community of recently relocated as well as long term residents of the City of Las Vegas, who are 55 years old and older, looking for a social setting to provide the opportunity to make new friends and contacts – in your neighborhood! That’s right. We’ll visit unique attractions, discover new adventures, tour local venues and popular landmarks around the city, so everyone will have the opportunity to participate no matter where you live!